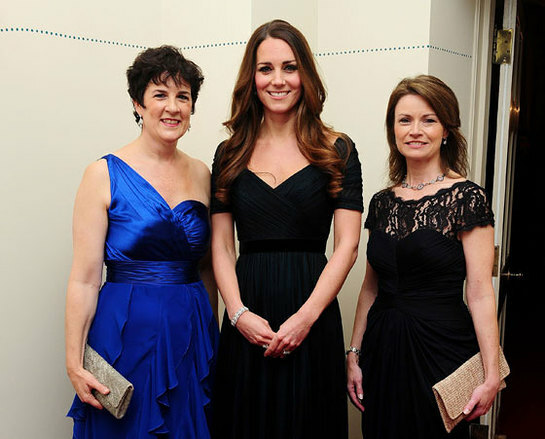 The Duchess of Cambridge attended the 100 Women in Hedge Funds philanthropic initiatives reception dinner last week in aid of the charity Action on Addiction. Speaking to guests at the event, The Duchess of Cambridge said that Prince George was “such a good boy” at his christening. The Duchess chatted to the invited guests about the success of Wednesday’s christening, which took place at the historic Chapel Royal at St James’s Palace. Her Royal Highness is a patron of both Action on Addiction and 100WHF, an organisation for professionals in the alternative investments industry. The Duchess presented Dame Amelia Fawcett with the 100 Women in Hedge Funds’ 2013 European Industry Leadership Award. Action on Addiction is involved in tackling addiction through research, prevention, treatment, professional education and family support. It has centres in Dorset, London, Merseyside and Wiltshire. The Duke of Cambridge and Prince Harry are also patrons of 100 Women in Hedge Funds’ philanthropic initiatives. It is focusing on helping Action on Addiction in 2013, WellChild in 2014 and The Art Room in 2015.